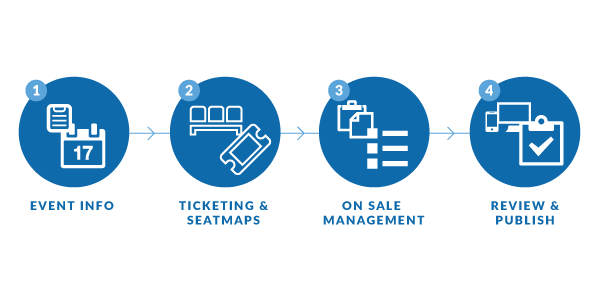 Empower your box office staff to manage the entire event life cycle with AXS Ticketing. 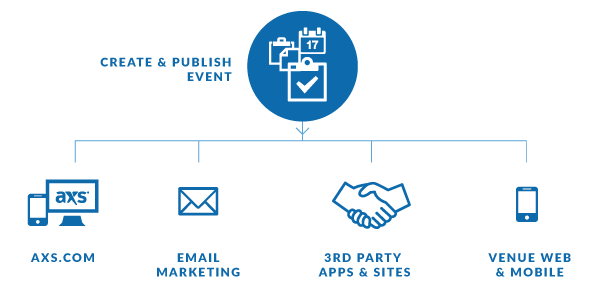 Easily create, configure and publish events in minutes, so you can start selling tickets right away. AXS Mobile solutions make it all possible. Embed proximity-based mobile messaging to target select audiences and increase conversions, while personalising offers based on a rich consumer database. AXS also offers weekly Event Guides that showcase local entertainment to the most active openers and buyers in our national database. Custom capabilities include hand-curated content, merchandise modules with third-party integrations, and unique coupon code redemptions. Automated pre- and post-event campaigns help to build consumer excitement, take a pulse consumer of satisfaction, and engage anew with additional offers.